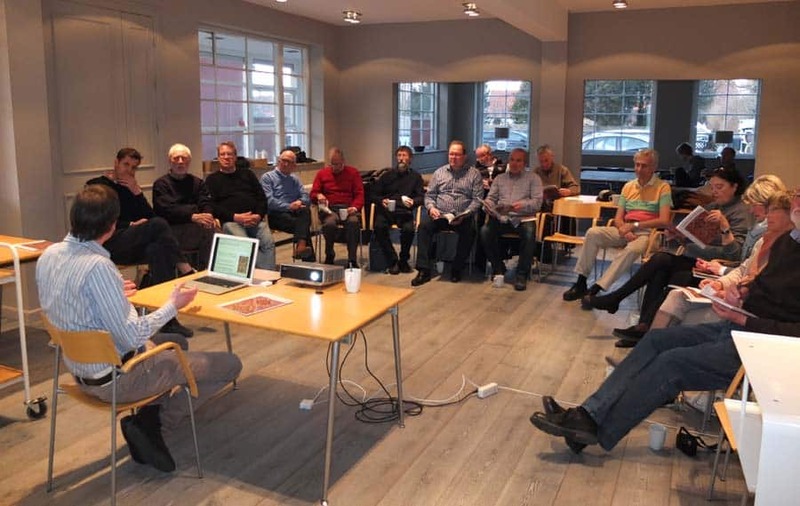 Tim Steinert, Carpet Collector’s German editor and organizer of BARE, had a special meeting with members of the Danish Rug Society on Tuesday 9 April 2013 at the society’s club room i Gentofte, Copenhagen. This event was arranged because the Danish Rug Society wanted more information about the magazine, it’s mission and because of interest for Carpet Collector’s coming Berlin Antique Rugs & Textile Exhibition 31 May – 2 June 2013. ‘Why a new periodical about antique rugs and carpets now’ was one of the questions members asked Carpet Collectors editor about. ‘Our new magazine will target the antique rug collectors and though we will bring in-depth articles our goal is that Carpet Collector should be readable for all our subscribers. Carpet Collector is published as a bilingual magazine in both German and English. In this way we reach a large audience i Europe, USA and Turkey’ said Tim Steinert. Quite a few ideas from the society members to develop the magazine were mentioned during the meeting. Online subscriptions, the importance of image-rich content, (rug) city guides for travellers, guides for novices and much more were suggested to Tim Steinert, who had a lively dialog with the rug society members. The new antique rug fair, Berlin Antique Rugs & Textile Exhibition (BARE), with top antique rug dealers from Europa, was of great interest for the rug club members. Berlin is only one hours flight from Copenhagen and several of the members of the Danish Rug Society are expected to attend this international rug event. Visits from several other Scandinavian rug clubs are expected too.